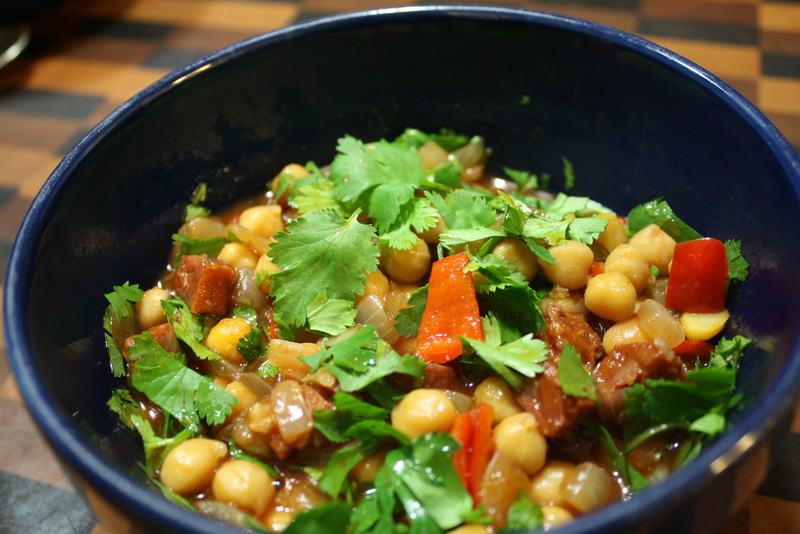 Chickpea and Chorizo Stew- Dinner for 2 in just 30 minutes! It was cold, wet, and dark outside when I headed home for work tonight. Not much time to get dinner ready for my son and I. Nights like these call for something warm and a little spicy…..Oh! and easy to fix is always a plus. Chorizo is a Spanish-style dried sausage with a great smokey flavor. 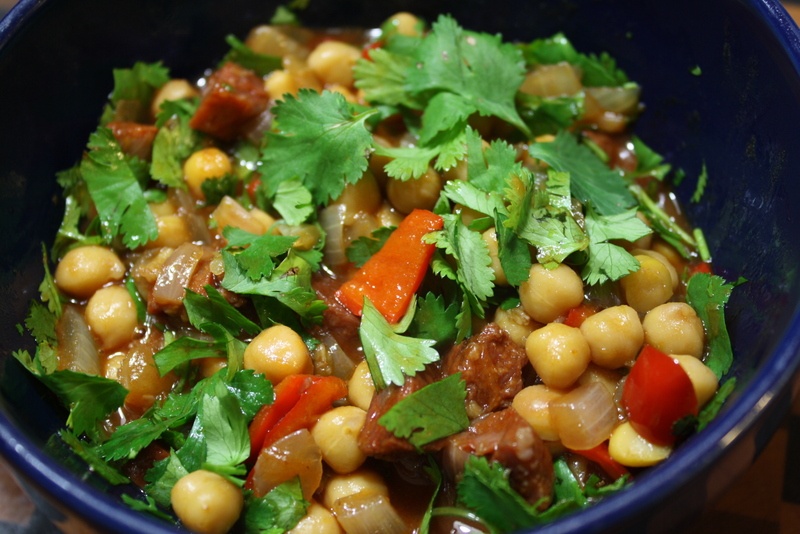 Using it with a sweet yellow onion, some red peppers and chickpeas makes for a lovely stew that is ready fast. The flavors mingle quickly and taste pretty good for a 30 minute meal. In a medium sauce pan, saute onion in olive oil over medium heat for 5 minutes, add garlic, peppers, chorizo and saute for a few minutes more. 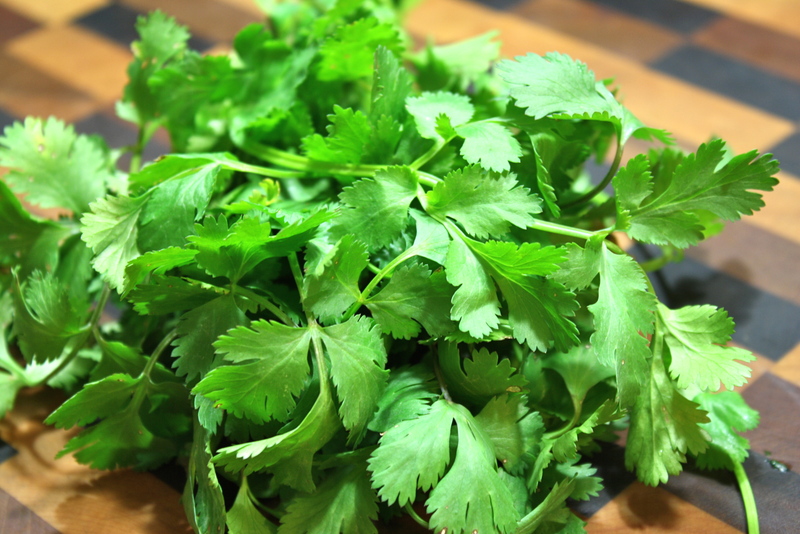 Add coriander and stir for about 30 seconds. 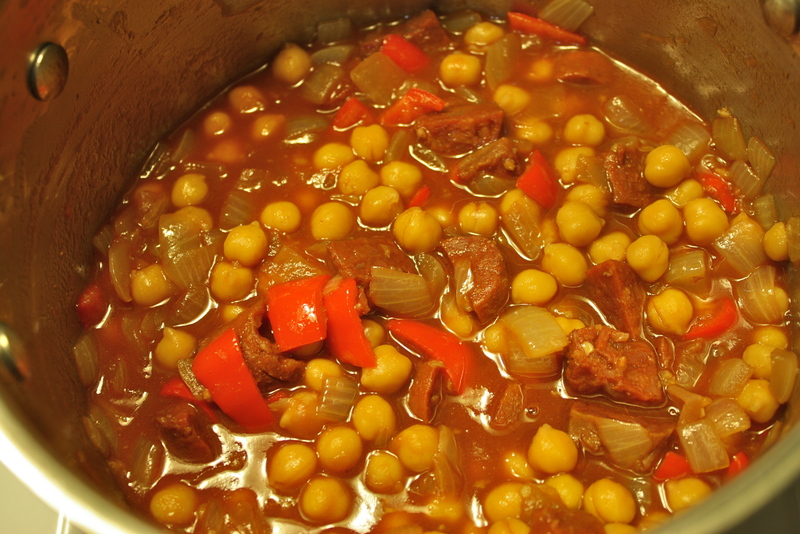 Add chickpeas along with their liquid, red wine and tomato paste and simmer for another 5 minutes. Taste and add salt as desired. Spoon stew into bowls and stir in chopped cilantro just before serving. Serve with hot sauce, if desired. Enjoy! This looks amazing! I love how easy, too. My son gave it a 9 (out of 10) on the quick meal meter.